Plans to visit with family last week were scuppered, which meant for a quiet Easter at our place. But that didn't stop us from partaking in some chocolate! First I want to tell you about something I made for Nick. He is allergic to several kinds of nuts, including hazelnuts, so I have to be very careful about any chocolate treats I get him, beyond the standard and unexciting bars we know we can trust. Did you know that almost all filled chocolates include at least a bit hazelnut? 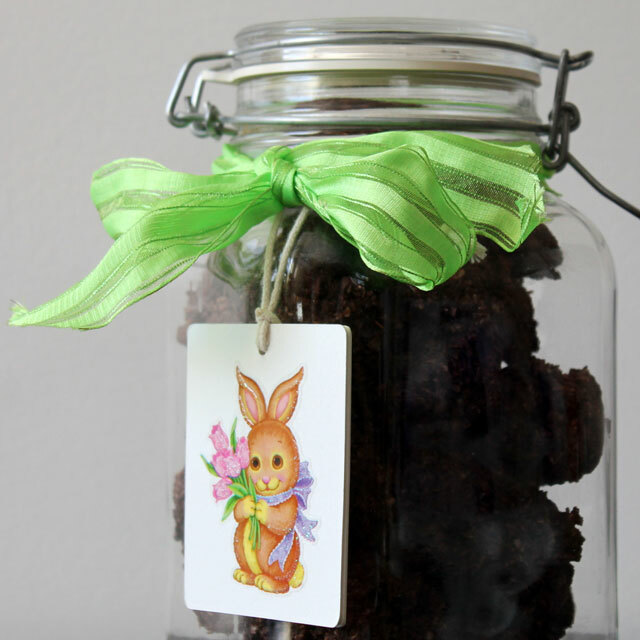 Anyway, after years of carefully reading labels and an Easter basket that contained little of anything new and exciting, I began making him something for the holiday last year, when I tried (and quite succeeded, I must say) to make Candied Ginger (seen in this post). And this year I made him some macaroons. These were no ordinary macaroons though. Oh no, these babies were made with dark chocolate and have a lovely rich truffle-like middle, with a crunchy outside. 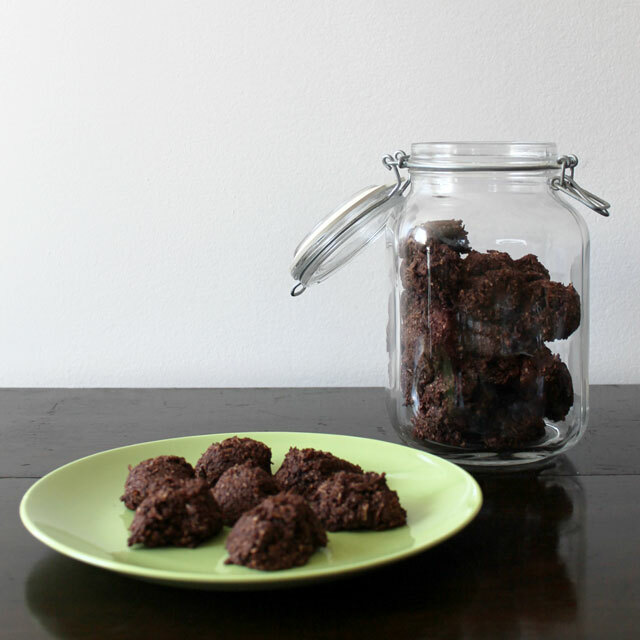 When I saw this recipe for Dark Chocolate Coconut Macaroons on the Smitten Kitchen site come up last week I knew exactly what I was going to make for him this year. 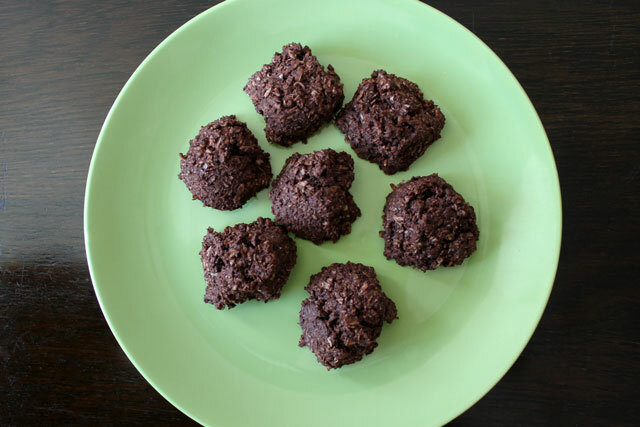 Including both melted dark chocolate and cocoa powder these were delightfully sinful, but not really so, in that the only fat included is from the coconut and chocolate, and there is no flour in them at all. 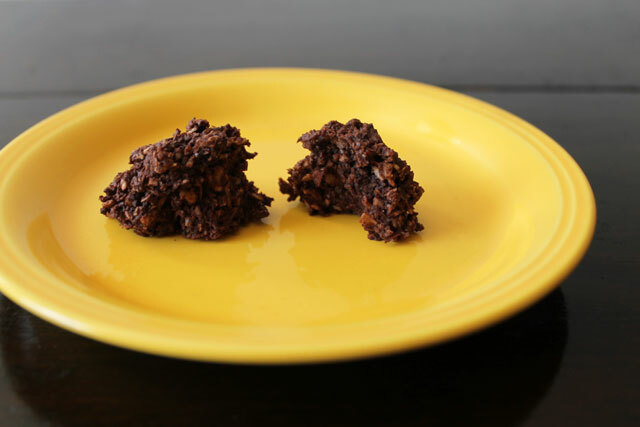 Basically they're just coconut, chocolate, egg whites, sugar, vanilla and salt ... just a few simple ingredients coming together to make something that's absolutely delicious. They were a big hit with the man! The recipe calls for all the coconut used to be the sweetened kind but Nick tends to like things less sugary, so I replaced it with half sweetened and half unsweetened coconut (based on a comment left by one of her readers). I also omitted the step of topping them with a dusting of powdered sugar. The results were sweet enough and we didn't miss the extra sugar at all. The only other minor change I made to the recipe is that she makes it all in her food processor. Mine was not big enough, so after processing the coconut, I transferred most of it to another bowl, and proceeded using the food processor for the rest of the steps. Then at the end I mixed everything together by hand in the bowl. And when I say by hand, I mean it ... the dough was so thick that the only way to get everything properly mixed together was to knead it with my hands, but it worked out fine. The macaroons were formed using two teaspoons and then I went back and made a nicer shape by tweaking them with my fingers. It took two parchment paper covered cookie trays (both baked at the same time) and my yield was 36 two-bite macaroons, each about an inch and a half in diameter. All except the tester one for the chef, fit inside our huge canning jar that was bought specifically to can pickled beets (seen here), so that was handy for the 'store in an airtight container' part, where they will last a week, although I know they won't actually last a week. Making these and seeing how well they were received left us both very happy and I know I'll be making them again. No doubt about it. 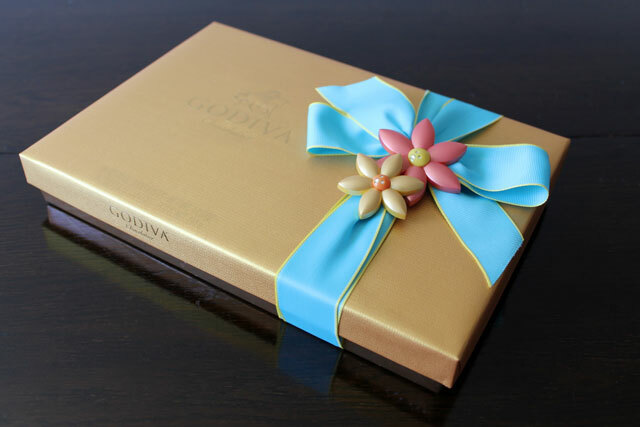 Take a look at Godiva's box of mixed chocolates, decorated for spring and which can be ordered here on their site, though we have an outlet nearby where he got mine. 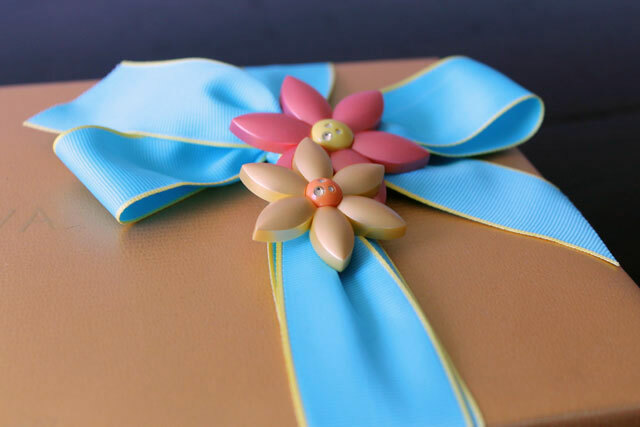 They always do such a lovely job with their packaging, and I love the beautiful ribbon and floral trinket, which is actually a fridge magnet. I've had this assortment before so I know the level of chocolate goodness I'm in for! How about you? 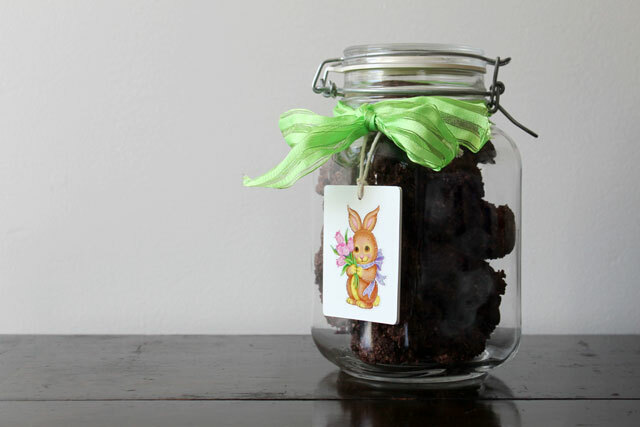 Did your weekend include and egg hunting or chocolate indulgence? Have you read about (or actually seen if you're lucky enough) this elaborate egg hunt going on in New York City right now? There are 200 three foot tall eggs, decorated by different artists and celebrities, placed all around the city for people to randomly find and admire. Sounds like fun. Thanks for dropping over to see what is going on in our world. Hope all is going well in yours. 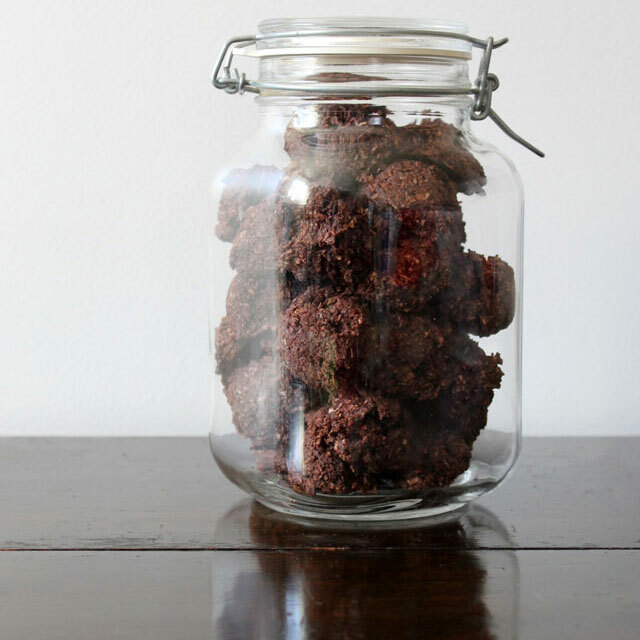 I adore coconut, so those macaroons look right up my alley! 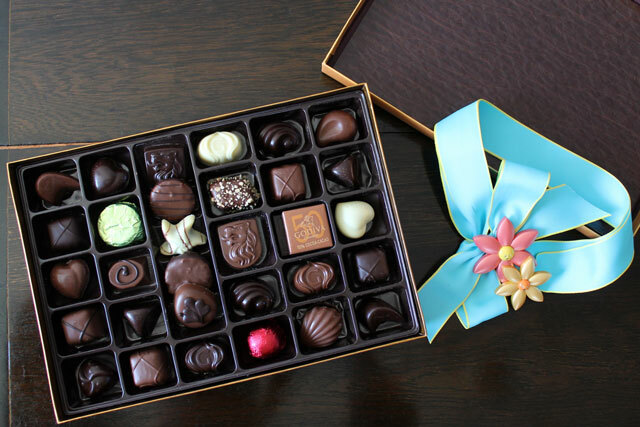 And lucky you, with the beautiful (and delicious) godiva chocolates!